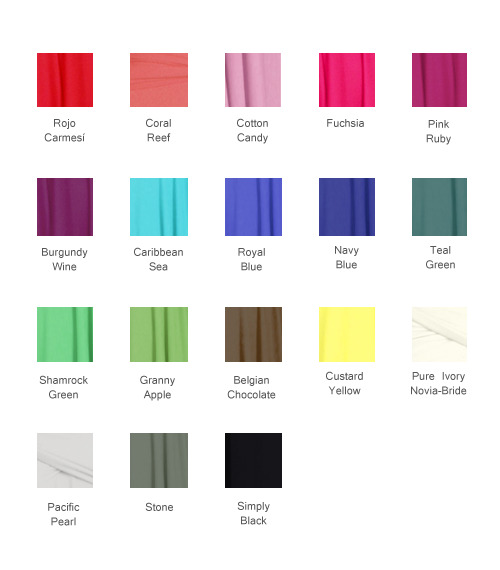 Keep in mind that the swatches cannot give you a perfect impression of our dresses. Pack of up to 5 swatches that you select. * We will include a voucher of the value of the swatches to use in your next order. Vouchers expire 1 month after the purchase. Do you have any doubt about the fabric? Rojo Carmesí makes it easier. Believe us, this isn´t a common fabric. Our texture is exclusive, which gives a perfect, magic fall and fits perfectly.